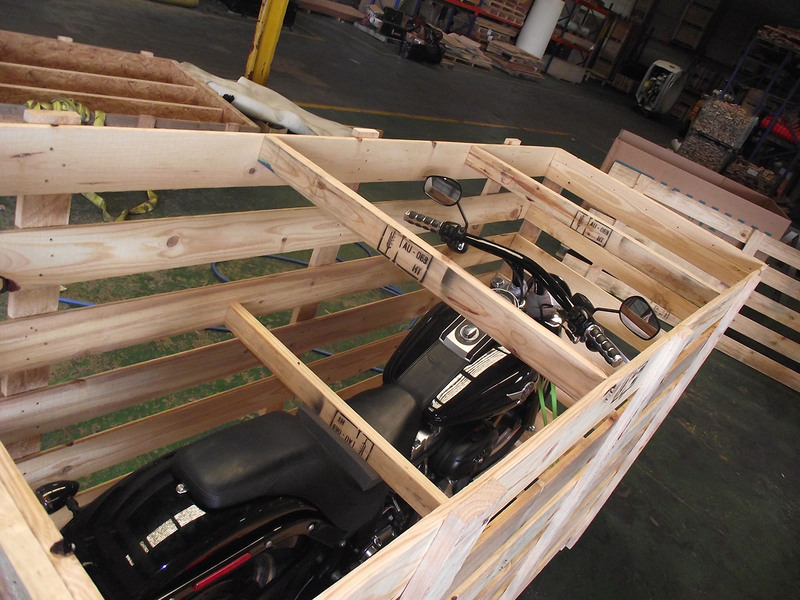 We often receive items that are sensitive and need foam packaging inside the crate. 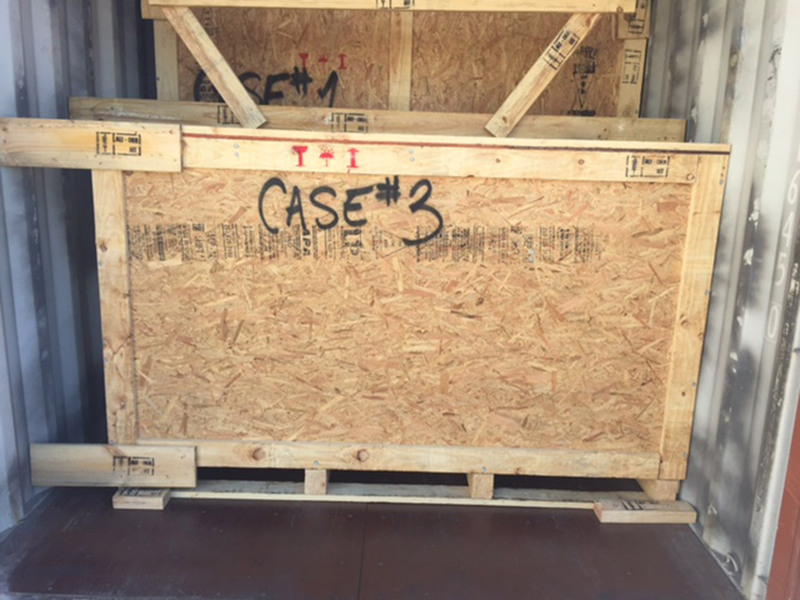 These X-ray tubes and detectors are not big but needed to arrive at the overseas destination without any damage. This engine just had a full rebuild. 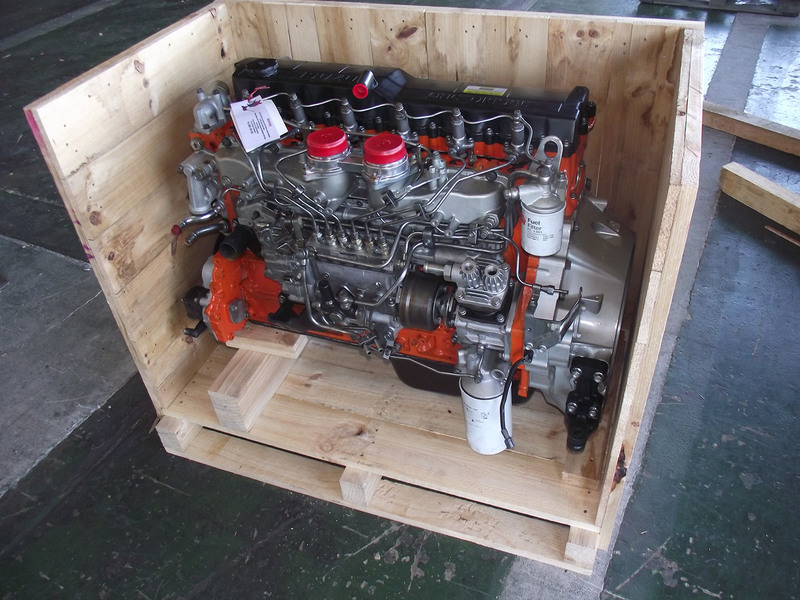 We don’t want the engine moving in the crate and causing any damage. We make sure things don’t move inside the crate. 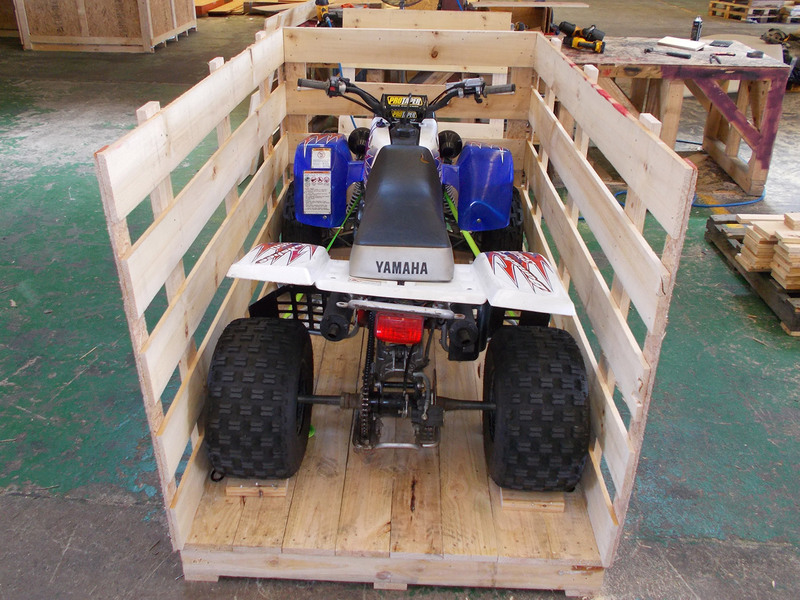 This quad bike is strapped down before we finish building the crate around it. 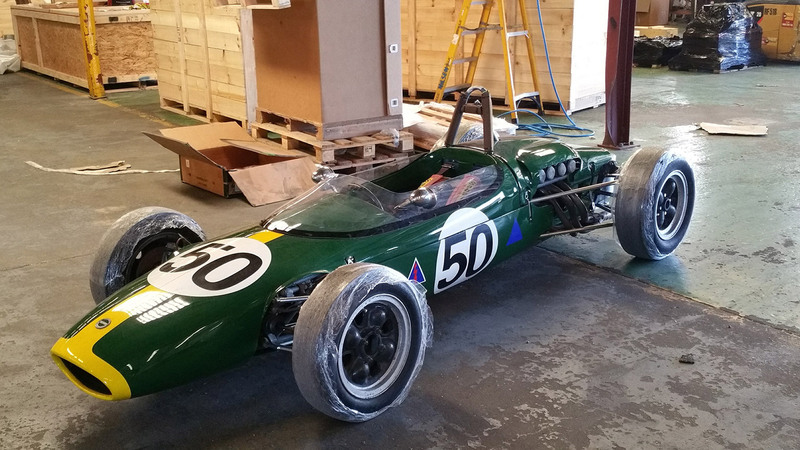 This Formula 2 car was a pleasure to see and pack. 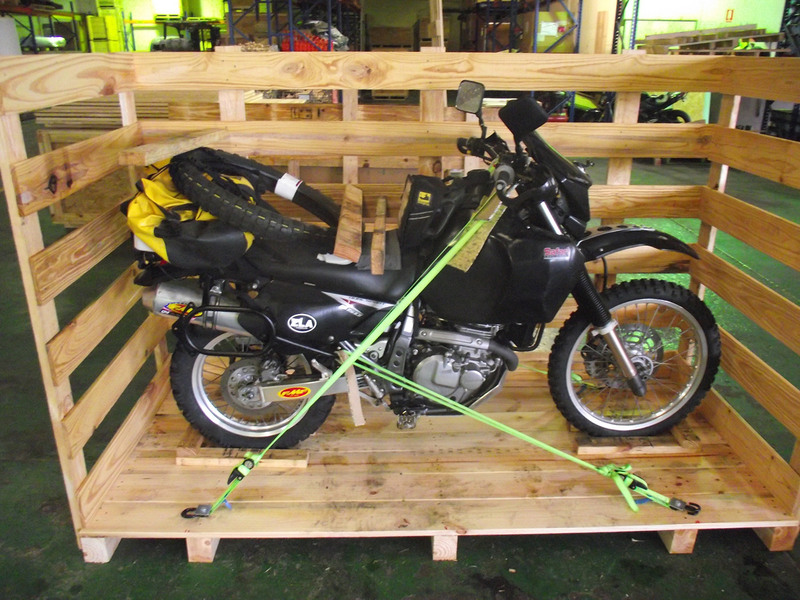 One of the many Motorbikes we crate up for overseas shipment. 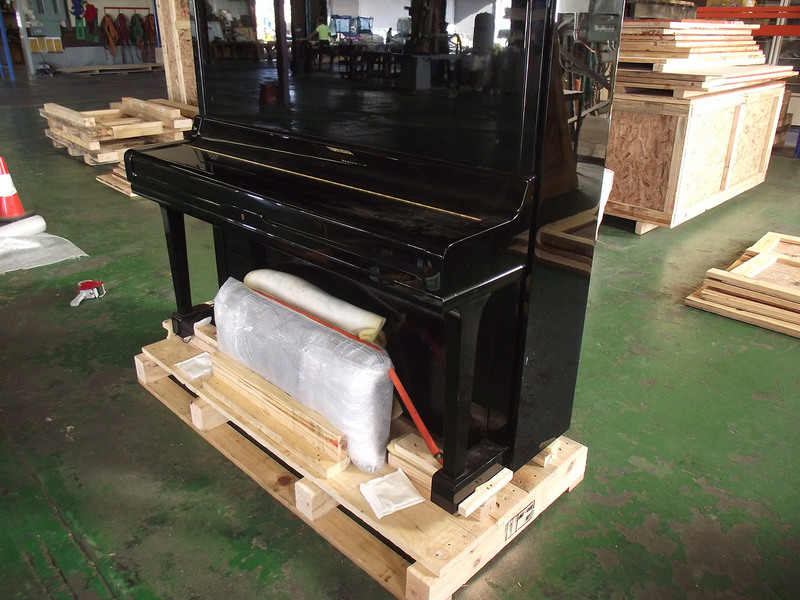 Pianos are very delicate, they need to be packed and transported correctly. 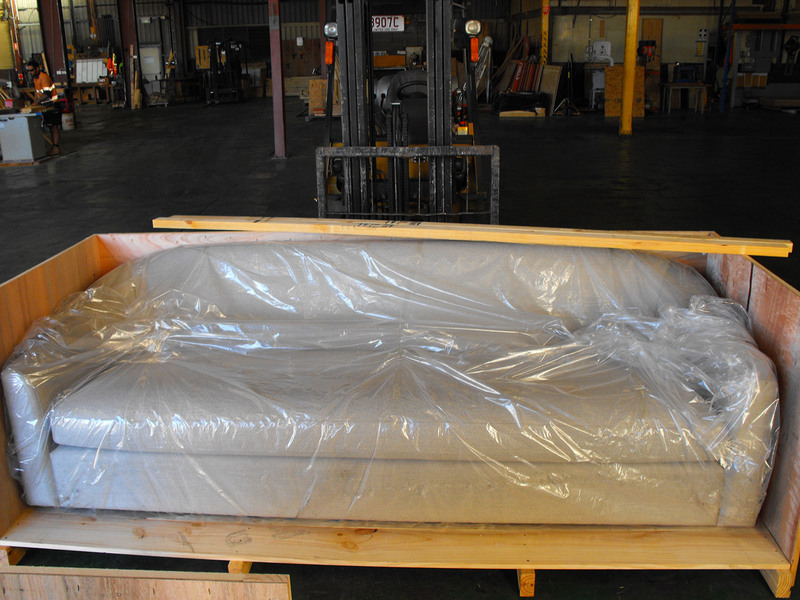 Household items are normal for us and these Sofa’s needed some extra protection to get them to their final destination. Sometimes things happen. Another damage in transit case. 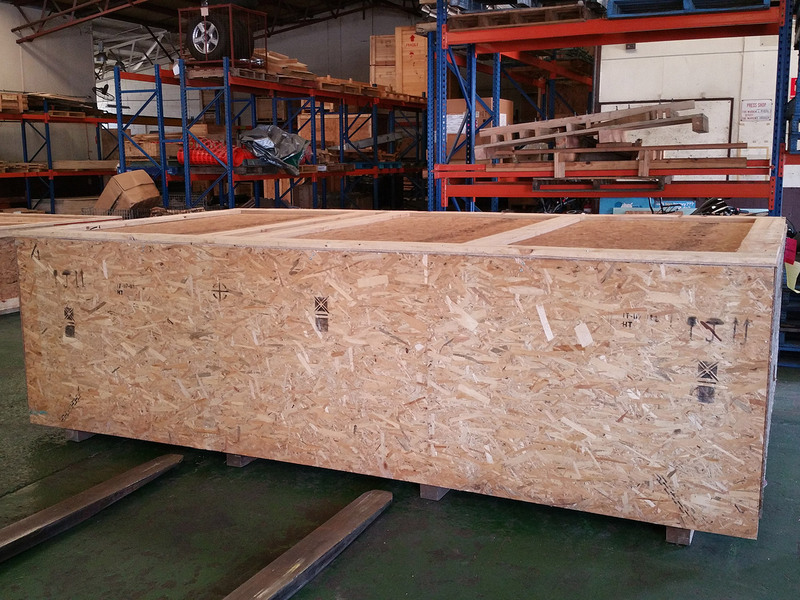 When designing and building a crate or case the quickest or easiest way is not always best. The original case manufacturer remembered to put the signs on the outside of the box for ‘Fragile’ ‘Keep Dry’ and ‘This Way Up’ but completely forgot about saying ‘Top Load Only’ or bracing the lid so this did not happen. 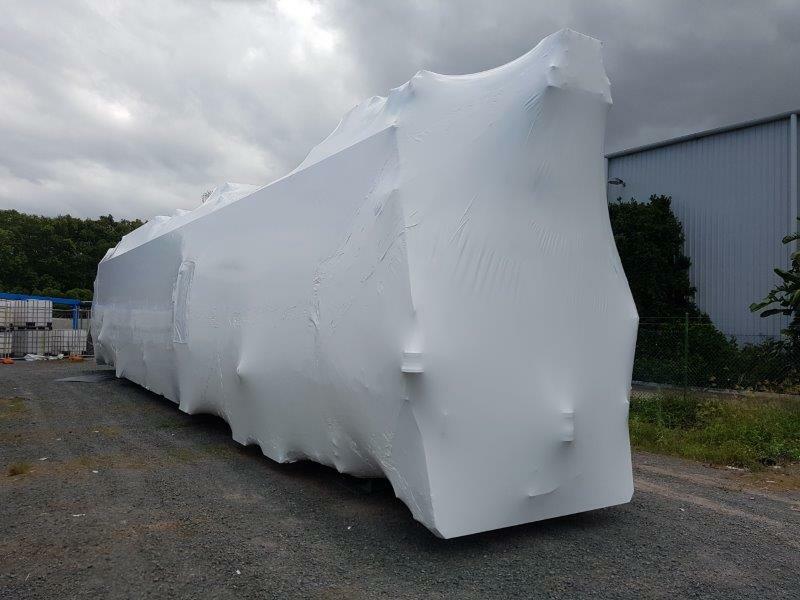 Has the ‘Fragile’ cargo been damaged? 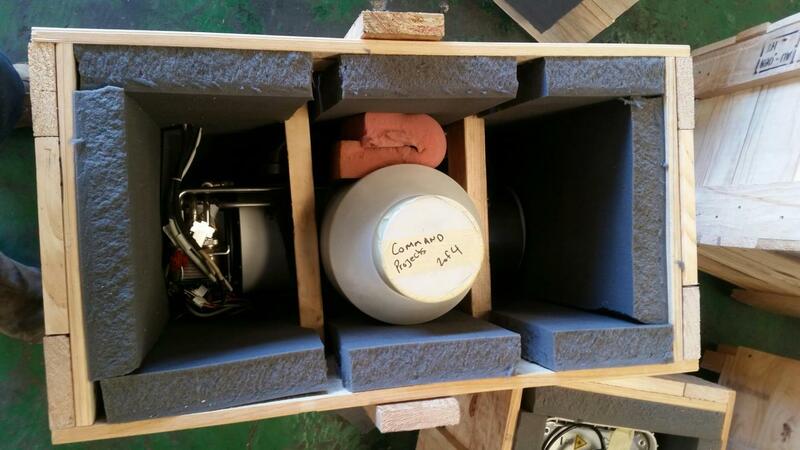 Fortunately not but we did brace the cargo better and modified the case so the lid fitted better. 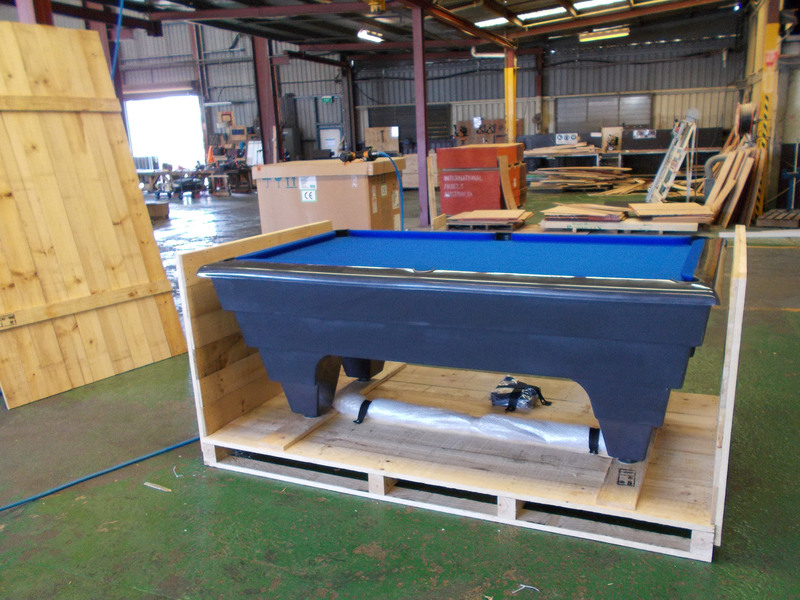 Switchboards are custom built so we do the same, custom build everything to provide maximum protection in the minimum safe size. Sometimes things are a bit oversize. 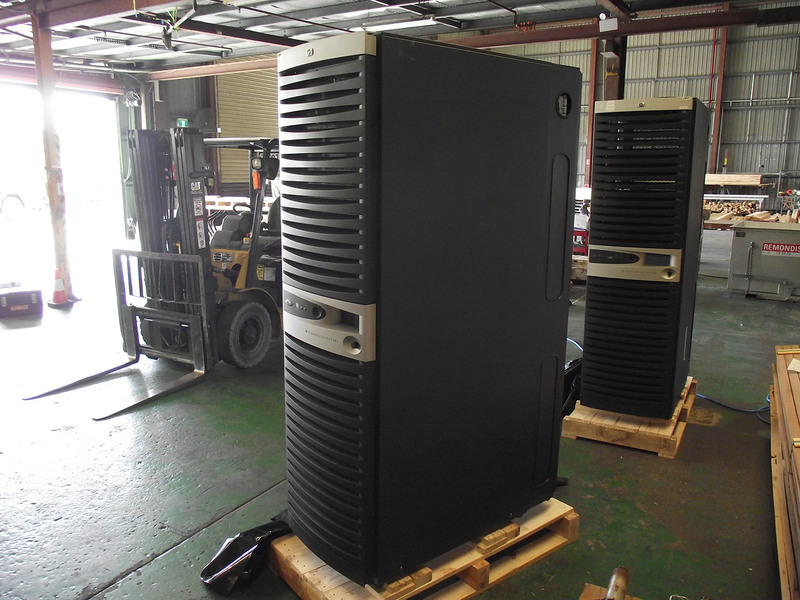 This generator was packed by us and waiting for pick up by the transport company. 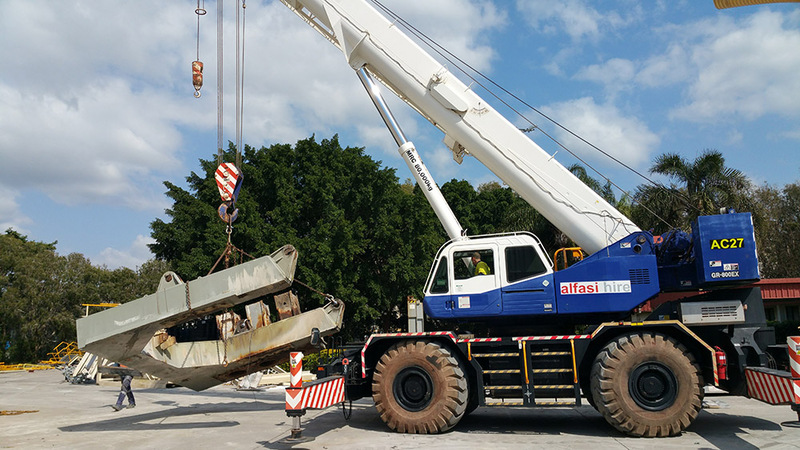 Whatever the size, we can do the job. Another flat rack being loaded and secured. Sometimes Medical equipment needs special treatment. 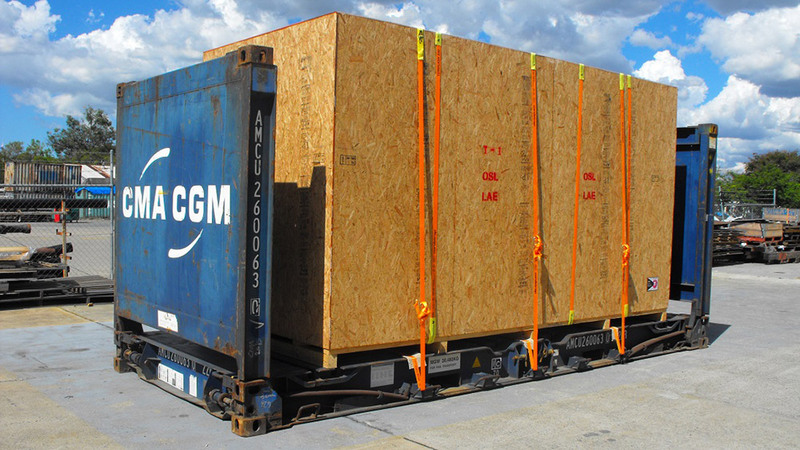 Here we Heat Wrapped, Cased and loaded into a Container. These Trains are used for track repair. Final destination is Asia. Nothing is too big for us to heat shrink wrap.